Have you ever been out Mulberry Lane Farm? 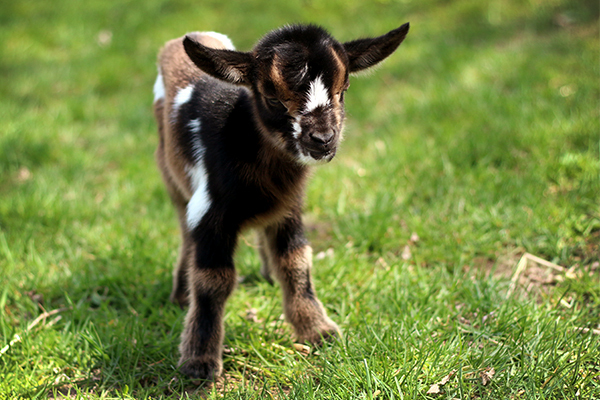 The petting farm is located just 3 miles east of Sherwood. It is one our family’s favorite spots. Not only is it educational but its fun as you get up close and personal with goats, lambs, chicks, ducks, kittens, horses and more. Everything is very clean and the staff is super friendly. They also have a great place for a picnic, so pack lunches! 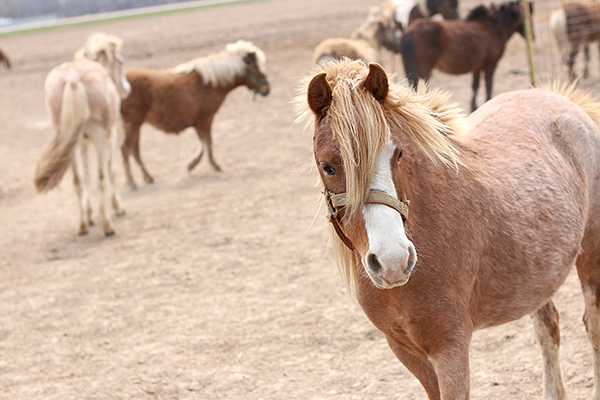 If that wasn’t enough, you’ll also enjoy the pony rides, hayride and learning to milk a cow! 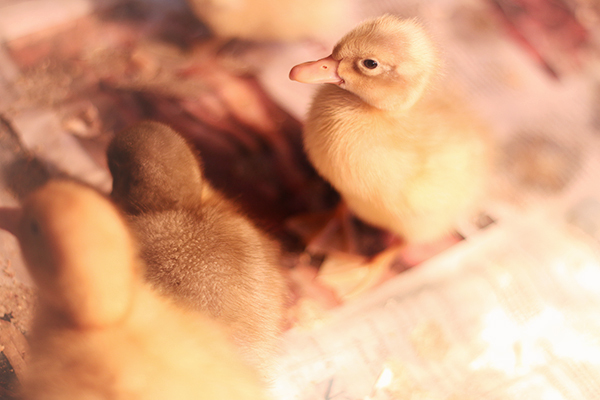 This time of year the farm is buzzing with babies – baby chicks, baby ducklings, baby kid goats, baby lambs, baby piglets, baby calves, baby ponies, baby kittens and baby bunnies. Its hard to resist wanting to bring some of them home. Pack a picnic or snacks. Spend as much time as you like. With all the exploring you will work up an appetite! Wear comfy clothes and shoes. This farm is very neat and clean but its still a farm. You will also do a lot of walking. Don’t forget your camera! There are lots of great photo opps. Enjoy these pictures from our visit. Previous articleThe Building for Kids Birthday Parties – Come be Wild! My Family loves to come to this farm and just spend the day together and even have a picnic lunch. Its just a great way for any Family to have some together time and make happy memories! I would love to bring my granddaughter to the farm for a day. She is such an animal lover. We have never been there, but plan on making the trip this summer. My family would love to go and see the baby animals. My 3 year old is at the age of discover and it’s so fun to see his eyes light up and learn. And a farm would be a wonderful place for him to run around. We’ve never been there. My daughter would also love to see and experience animals for the first time too! My daughters have a visit to Mulberry Lane Farm on their summer vacation wish list! FREE admission would make the visit even better! We’d love tickets because it’s a beautiful and fun day of memories! We would love a day at the farm. I have a child with special needs, autism and emotional regulation issues. Once school is out we are looking forward to spending our days having fun!!!! We have never been to mulberry farm and my kids are obsessed with animals. We would love to bring our grand daughters out to the farm to visit the baby animals. My kids would love this! Both of them have the cutest obsession with baby goats! Our family is moving to TN June 6th. We would love one last trip to see all the babies at Mulberry Lane Farms! my son loves animals! We have been hoping to plan a family trip to the Farm for him to see the cute animals and pet some too! My kids ask all the time when they can go catch chickens, and milk the cow again. They really love the interactive experiences at mulberry. our family loves outings on the weekend. Our son loves animals and would love to come visit!! My family loves the farm. It is a great educational experience and a way to get out without electronics for a day. We would put these passes to great use! We have been waiting all week for this giveaway :)!! I have two boys and it is their absolute favorite place to spend a summer day! The 4 free admission tickets would really help our family make a very memorable day. Love this place, so informational and a great place for the kids to visit, been there with a class group and going again this year with school. We would love a visit to the farm with my kiddos to hold and snuggle all the bitty animals. My four kids love to visit and these tickets sure would help with the cost. My son would love to milk a cow, hold the baby animals, and ride a pony! Thanks for the chance to win! We also have Mulberry farm on our wish list for this summer. My daughter absolutely loves the horse ride and getting to pet the kittens. A trip to Mulberry farm makes for a very fun day! Our family would love to spend a day with all the animals! My daughter would love the farm to see all of the animals! She especially likes kittens and chickens! Mulberry farms is in our summer list! Especially now with all the babies they have! My kids would love it and so would I!! We’ve never been here. Would love to check it out with my family! In an age where electronics seem to often take first place in the “what do you want to do today?”, Mulberry Lane is one place that would win out for my daughter’s choice. My daughters love animals and we always have a fantastic time at Mulberry. One of their favorite things to do there is the pony ride. Our almost two year old would go bananas seeing all his favorite animals up close (and lets be honest, so would I!). We love to go to Mulberry Lane Farm with our 3 girls. The kittens are always a favorite, but the thing everyone talks about after is catching and holding the chickens. We always end our trip with a picnic lunch. Such a fun day. weve never been to mulberry lane farms, and would love the opportunity! My daughter has a huge love for all things animals. Last year we stayed for hours playing with all the animals. Our favorites were the horses and baby piglets. We are excited to see the animals again this year. My family has actually never been to Mulberry Farm though we have always wanted to go. It’s been on our list of places to visit for a really long time! My husband and I are aspiring farmers and this would be a great learning experience for my daughter and the adults too! I truly hope the one who deserves it most wins though. Thanks for the opportunity! my family would love to spend the day at the farm because my 6 year old is absolutely in love with animals and loves learning all about them. We also love cuddling with all the kitties. We have never been here, but our oldest loves animals and is great with our little puppy! I am sure she would enjoy this! My four year old would LOVE those goats! Looks so fun! We’ve never been and hear such wonderful things about it! Our toddler is big into practicing her animal sounds. I’d love to bring my kids to Mulberry Lane Farm this summer. What a great place!!! We would love a trip to the farm! My kiddos have been begging to go visit the baby chicks and piglets! My Grandsons love zoos and they really love Mulberry. Would like to go with them sometime to see why they enjoy this farm so much. 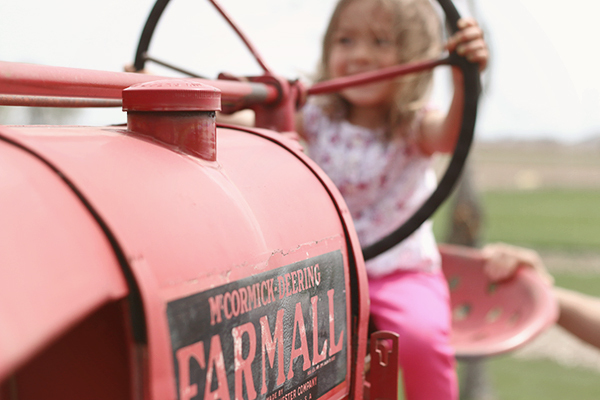 We’ve never been to the MFarm, but animals are one of my little man’s favorite things….his 2nd birthday is coming up… his daddy & I are working on getting back together & this fun outing would be a great treat for him. I love how HANDS ON Mulberry Lane Farms is! Lucky me, I get to take my kindergarten class there next week! My own sons aren’t coming, though, so a free pack of tickets would be awesome to use and go back with my own boys!! Our family would enjoy a day at mulberry because it is one of their favorite places to go to. We have pictures of our kids since they were little there. Now we have some big and some newer addotions to the family and we want them to grow up loving this place also. My two granddaughters love animals and would truly enjoy Mulberry Farm! They have never been here and I am looking forward to visiting this summer with them! We would love to take our kids, none of is have ever been and it looks wonderful! I would LOVE to bring my two boys to Mulberry Lane! We took my oldest son twice a couple years ago and we enjoyed everything about it!! Now that our family has grown and we have another animal-loving son, I know we would all have a blast together this year!! My family would love a day on the farm. My son loves going on the hayride and playing with all the animals. My daughter is finally old enough to really enjoy it. Plus, I love that they are learning too!! Our daughter has been to Mulberry on a field trip with school and we would love to go as a family! Our family is new to the Fox Valley and haven’t really had a chance to explore all of the great things the area has to offer! This would be a fantastic treat for our little boys who adore everything farm related!! My boys LOVE Mulberry Lane! Can’t wait to take them again. We go every fall for the petting zoo and pumpkin patch 🙂 Just love it! I would love to go. I took my youngest last fall, just me and him. It’s rather expensive to take our family of 5, so my older two kids have missed out on going the past few years. I’ve been going when they are in school. It’s lovely there though, so I do plan on taking my 3 kids sometime this summer. My family loooooves animals and cannot wait to visit the farm! It has a top priority on our fun list! my girls love the baby animals, especially the kitties. Mulberry Lane Farm is definitely a family favorite. Can’t wait to introduce our youngest to it this year! Our toddler is old enough to interact more with the animals. I’m sure she will love the kittens as much as her brother does. Our family of 4 would love to go to Mulberry Lane Farms! My son loved going there when he was younger, and our one year old daughter just loves animals! We cannot wait for her to experience the magic of this place! it was a long winter! My kiddos would love to go together as a family and check out the farm this summer! My daughter loves animals! Looks like a REALLY great place to make memories! It is such a wonderful thing to see your child experience the joy of animals. I can’t wait to see my son’s eyes fill with excitement at seeing all the animals and being able to be so close. I love Mulberry Farm! We love doing things as a family! Our family would love to go to Mulberry farm to see all the animals. My youngest loves all the animals and making sounds like them. This is such a great place to go! Would love to spend the day there again! Our family would love to visit the farm! We have never been but this would be an awesome opportunity to get us there. My one year old is learning the noise each animal makes from pictures in a book. It would be awesome to show her the real life animal in person and hear the noises!!! Thanks for a chance to win tix! 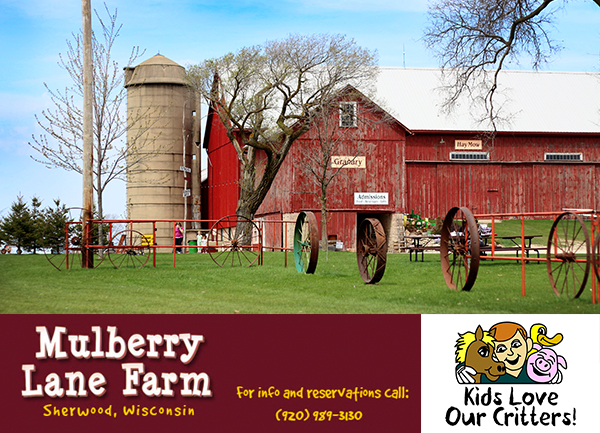 My family of 4 would love to visit Mulberry Farms. My daughters are 5 and 7 and love animals. I know we all would enjoy of day of making memories at the farm. A day at mulberry is always a special experience for our family. It’s a great way to relax and spend an entire day disconnected from everything and just enjoy each other. Our girls would L? ?VE to visit the farm this summer!!!!! They would enjoy seeing all the animals best. I can hear the sequels of “oh! He’s so cute!” now. ???? We are always looking for fun things to do as a family, this would be awesome! We love this farm. My kids have been there for school field trips, and we went as a family last fall. We all had a great time, love that you can find something for everyone! My two boys (ages 5 & soon to be 7) love animals and all things farm!! Our family would love to go back to Mulberry, we haven’t been there together in about 3 years! My husband and I were married there last September and haven’t had a chance to get back since with our boys. The entire day was incredible and we would really like to go back as a family to fully experience everything the farm has to offer such as the animals and hayride. This would be great or every member of the family! Doesn’t matter the age, everyone.would have a ton of fun! We love to visit with all the animals:) Makes for a great family playday. My kids love animals, and we have never been to Mulberry! My little family of 3 is thing to be enjoying this summer to the fullest as there will be a new addition to or family in early January! We would love a trip to Mulberry Farm. Next summer we are hoping to take the baby and his or her big brother back there again. My family would love to go, we have heard such great things about but have never been. We relocated to Appleton this past year and are still learning where all the great places are. My daughter loves the “baas” and the “cluck clucks” she would be so excited! My son and I have been been there but my husband has not! Would love to go together as a family! And I really want to come and see the new baby animals! My son is having a birthday this month and he LOVES ponies! My family would love a trip to the farm! Only two of our kids have ever been there and one of the visits was in the rain! Ha! We have a family of seven now, which makes outings pretty pricey… Four free tickets would make this a great and exciting possibility where there may not have been one! We just moved to the area. I am a homeschooling stay-at-home mom of three animal and outdoor loving boys! We would love the chance to visit Mulberry Lane. Thank you! We would love to go out to the farm because my daughter LOVES the kitten barn. We love Mulberry Farm!! We have been going on Mother’s Day the last 3 years to see all the spring babies. What a great way to spend the day with family. My family LOVES Mulberry Lane Farm! We love to see all the spring babies, and pick pumpkins in the fall. Thanks for the giveaway! It would be a fun and educational day for my toddler and preschooler! They love animals! It would be a great day of making memories that would last a lifetime. My son lives to visit the farm! We go pick pumpkins with our friends in the fall, and it is always amazing. We would love to go in the summer and play around for a day of family fun! As a single mom, we are pretty tight on the budget and most times, our family activities are going to nearby parks or just hanging out in the backyard. It would be so fun to spend a day blessed with the animals on Mulberry Lane Farm and loving on each of them. We love animals, but, right now, we cannot afford a pet family member. Sharing in the love with others who have furry friends and family members brings great joy to our family. We love this farm and I love just watching the joy on my children’s faces as we play and explore together. It a day of magic for them and I enjoy just making a day of it with them. The kids make me feel like I am the Mother of the Year when I bring them. Thanks for this cool giveaway! This is one of our favorite places. My daughter absolutely loves catching the chickens! It would be a great place to go on the weekend. My girls went here for a field trip and talk about it all the time. Would love to take them back and experience it as a family. Would love to enjoy a day out on the farm with my little boys and husband. This is a fantastic local resource and we’re lucky to have it! I’ve never been to Mulberry Lane Farm. It looks like a great place to visit with toddlers! We would love to spend a day on the farm meeting all of the baby animals. My 2 year old loves kittens and would be in heaven with a visit to the farm. We went once and loved it. We especially love the baby animals! I grew up on a farm in Wisconsin, and I love any opportunity to show my son a taste of country living. Have never been to Mulberry Lane Farm before, but have heard wonderful reviews about it. Would love to take our one year old there for us all to enjoy our first of many visits in her future! My boys love seeing all the new baby animals! We just visited the National Railroad Museum this weekend where we saw a momma goose with her babies. My 5 year old daughter just kept repeating how she wanted to hold a baby bird. Visiting Mulberry Lane would give her a chance to see animal babies up close, and she’d love it! And my 2 year old son is an animal lover, so I know he’d get a kick out of petting and holding the different animals as well! Our girls love animals, our one daughter wants to be a veterinarian when she grows up! This looks like a lot of fun! My family has never taken a trip to Mulberry Farm. We would love to though, and my children are absolute lovers. Thank you and Good Luck to all! My family has never taken a trip to Mulberry Farm. We would love to though, and my children are absolute animal lovers!Thank you and Good Luck to all! My little guy would LOVE to see and pet all of the animals! We are new to the area and trying to explore everything it has to offer. Your site has been a wonderful resource for us! My family would love these tickets because we have never been there. Also, my boys love animals, so they would have a great time!! We would love a day at the farm. My three year old daughter is thrilled with kittens and chickens. Planning to visit atleast once in this summer.. If we win, that would make atleast twice ? My family LOVES the farm!! I even named Norman the cow! 😉 Such a wonderful welcoming place. Everything about the farm is fantastic! My son’s favorites are the kittens ans the great big play area out front. Would love to see if he is brave enough to milk a cow this year. We would love to spend time as a family at the farm. Our family always enjoys our annual trip there. We especially love to cuddle the kittens and feed the goats. Our entire family absolutely loves animals (especially the baby variety ?). Getting up close and personal with farm animals we don’t normally get to interact with is the best! The goats and calves are definitely favorites! It’s so peaceful getting to eat a picnic lunch with the kids and getting to unplug for a day, and enjoy some good old fashioned fun on the farm! My two year old son is in love with all things farm! He would LOVE a chance to ride a horsey! Mulberry Lane Farm is a very special place with very special people. We enjoy visiting each year to see familiar faces and spend time with eachother and of course, enjoy the farm animals. 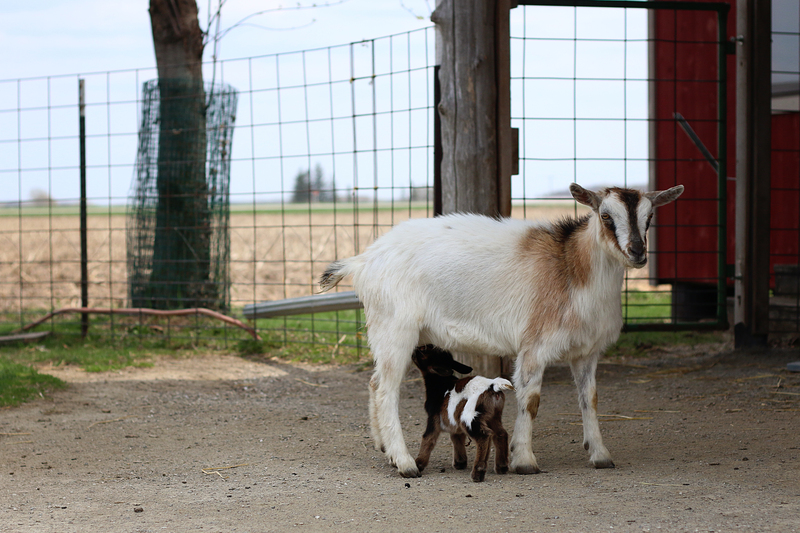 We have been lucky enough to be there on a day when baby goats were born (sigh). A day at the farm is a lovely get away, a chance to reconnect with a quieter time, no cell phones allowed!! And of course see Ladybug and maybe, just maybe, score a great photobomb with Mandy! I have a 3 1/2 year old and an 11 year old child who is disabled. This would be a great opportunity for us to do something together as a family. We would love a day at Mulberry Farm! We haven’t been there in ages. What better way to spend a beautiful WI day at the farm! My family loves Mulberry Lane Farm! There is no greater joy than seeing our four and two year olds faces as they explore the farm life. We’ve been super busy with life and a day at the farm is the perfect way to spend the day as a family. We would love to win tickets to enjoy a day on your farm with our little girls!!! 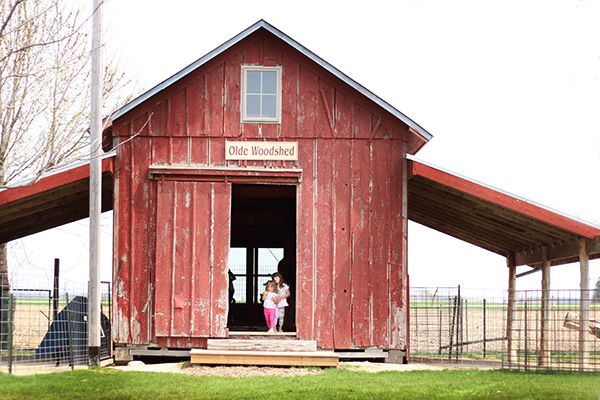 Our kids love this farm and we would have such a great time visiting! This year our son would actually be able to hold some of the animals. Thank you for this opportunity to win admission for our family! Our little guy loves animals! We went for the first time this past fall. He had so much fun in the kitten barn and picking out his pumpkin. We can’t wait to go back! My daughter has been there before and loves it. My son is just about 2 and hasn’t been there yet. I would to see the look on his face when he sees those animals. We just love Mulberry Lane Farm! My family LOVES mulberry farms, and we would LOVE to check out all the baby animals that are new to the farm! Thanks for this awesome prize! We have beautiful pictures of my daughters at the farm the last few years. It’s fun to see how much they grow! We love coming to the farm and visiting the animals. The hands on learning is so special, nothing can beat it! My family would love a day at the farm! I have brought my daughter since before she was 1. She loves to hug and kiss the goats and see all of the animals. Our visits to the farm are very cherished memories because my daughter is so happy there. She very recently welcomed a new brother to the family and could use a fun getaway with all of the animals and fresh air enjoying a family day of fun! 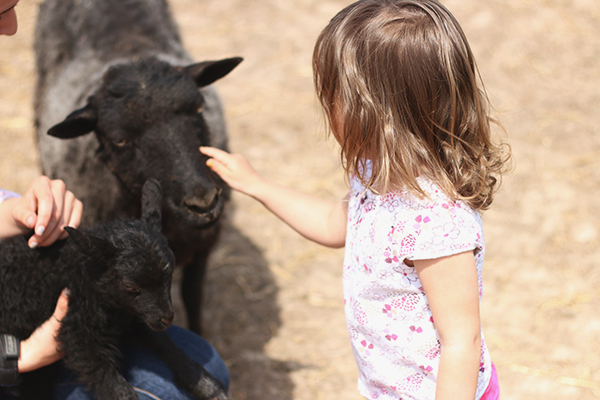 My kiddos adore Mulberry Lane Farm, and as an animal lover so do I! We’ve visited before but its been a few years. It would be great to go back this summer. My 3 year old loves going there. She can get enough of the kittens. We could sit in there for hours. The staff is very friendly and they give you very good information about the use all the animals for. Can’t wait to go there. My 3 kids & I love Mulberry Lane Farm, we live in Sherwood so it is close by but don’t get there as often as we would like to. We would love to come visit with all the animals! When my granddaughters come to visit, that the place they always want to go to. We love it there! We have never been here. Summer after summer I always say we should go but then the summer gets away from us. My 7 yr old son and almost 1 yr old would love to win the tickets. We LOVE this farm. It’s part of the reason we got our own chickens! With 3 little animal lovers I’m not sure we could ever spend enough time there. My family has never been to Mulberry Lane Farm and would love to go!! I have heard so many amazing things about this place! I know my girls would love it! We LOVE visiting Mulberry Lane. My children love chasing the chickens and the last time we were there one of the mommy cats was following my daughter around the farm. We always have a marvelous time and Farmer Pat is a great tractor driver. We would love a day at the farm! My 5 year old son loves to go and explore the animals and I’m sure he would truly enjoy teaching his new 8 month old sister all about the fun at the farm! My husband travels a lot for his work. Even gone weekends. We have never been to this farm but have heard great things. It would be a great Father’s Day surprise to take him and our 4 children and reduce the cost for us to go as a family of 6! My children have currently 2 dofs, a cat and 5 fish so we share a love of animals and looking into raising chickens once we get a new home. It would be great to show my children farm animals and let them be hands on with them. Our family recently relocated to the Fox Valley and we are always looking for local educational experiences! 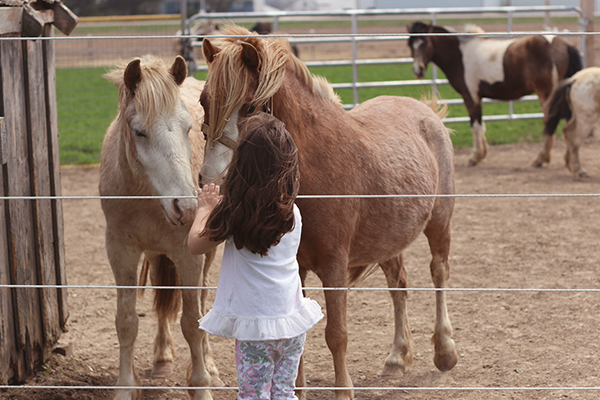 Our daughters love animals, farms, and have never been to Mulberry Lane Farm. It looks like a lot of fun! We go to Mulberry Lane Farm every year – it never gets old! My 9-year old is already asking and my 21-month old is going to love it this year too! I’m allergic to cats so my daughter could sit in the kitten barn for hours since she can’t have a cat at home! We have not been here yet. My girls and I would love to come visit the farm as my six year old loves farms so much. Free Admission would be great also. Mulberry Lane Farms has always been on our “must do this summer list” and I am thinking this summer should be the year. 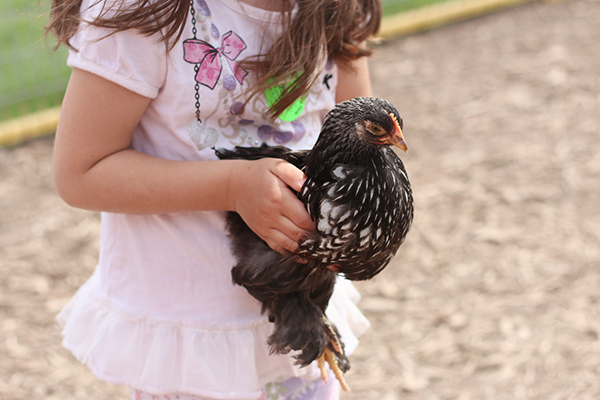 Our girls love animals and we are always looking for fun family day excursions to do. Love Mulberry Lane! Would love to take my children! We have not been here yet, but my two-year old LOVES animals! We have a trip to the farm on our summer bucket list! We have never been out to the farm. I have three little girls who would love to go there. Our goal this summer is to get out there. We love Mulberry farm and go 2-3 times every years. My grandkids love everything about the farm. My grandson loves holding the chickens, my one granddaughter loves riding the ponys and all the babies ESP the kittens. As adults we love everything about the farm. We love the wagon ride with Farmer Pat. All the staff are friendly and helpful. We ESP like coming in fall and getting pumpkins. It always takes the kids a while to pick the perfect one. They love going in the fields. My boys would love all the baby animals and learning about all the different animals. Also this would be my baby girls first experience with farm animals and I think she would love it! My daughter is almost 2 and is obsessed with everything farm animal. Currently chickens are her favorite. So getting the opportunity to see some real chickens, piggies, horses, & cows would be heaven for her. Unfortunately we are on a tight budget right now so we’d be so grateful to win these tickets! Thank you! We live to get out and get some fresh air while spending quality family time together. And it is always a learning experience for the whole family! I can’t wait to get out to see the new baby animals! My daughter was asking yesterday if we can go and milk that cow again Momma?! Love how she remembers even as a three year old and my eight year old son would love be chasing the chickens again. My husband and I love that you make us feel right at home on your farm! My family could really use a date with cute animals! It has been a crazy school year and this would be a great opportunity to spend some quality time together and start off summer right! we visited this farm last weekend and it’s all my 3 year old has been talking about! We would love to bring him back with grandma! My son had so much fun last year when we went and picked a pumpkin at Milberry. He would love to go again. Hoping for the chance to win tickets so my two daughters can come and spend some time enjoying all the animals they love so much! I love that my daughter gets the chance to learn about and interact with the various animals. We all enjoy getting to pet and hold them. It’s a great way to spend some family time together for a morning or afternoon. What a gem of a giveaway! We just moved to the area from out of state and are looking to add to all of our summer to-do’s as we discover new places for our family. With four little ones, this looks to be just about perfect for all of their interests. Thanks for sharing! My son and I love coming this farm ever since our first time there for his kindergarten field trip. We were just there this past weekend and didn’t want to leave. I love how open it is, very clean and organize. Its also educational and just an all around amazing place. The staff is always friendly:-) my favorite is the baby goats. I love how they cuddle. If I had the chance I would be there everyday. Great place. We recently had to move out of state for my husband’s employment. When home we made it a tradition every year with our daughter’s to go to Mulberry Farm as part of our mother’s day tradition. We will be coming home at the end of next week for one our daughter’s graduation. I was just on your website looking at your hours when I came across this contest. When just asking my youngest two daughter’s what and who they would like to visit while back home in WI without hesitation they both said Mulberry farm! We hold a TON of special memories at your farm and would love a chance to win those tickets! My 2 year old who sings “old McDonald” all day long. She would love to sing it to the baby chicks and cows at the real farm! My girls love animals and we’ve never been. A free trip would be wonderful! What a great experience! We would love the opportunity!